A major advantage of condo living is enjoying the low-maintenance lifestyle, but did you know it also means close proximity to all kinds of amenities? Condo developments are typically built in areas catering to those who want it all - so you can rest assured you'll have nearly everything you need within arm's reach. Here are just a few of the great amenities you can expect nearby. We know that condos aren’t typically the first thing you think of when it comes to the great outdoors, but they're one of the only types of homes to offer green spaces you don’t have to maintain. In fact, many developments offer courtyards, patios, and walking trails. Not only are there pre-planned green spaces, you'll often find nearby municipal parks and recreational areas to adventure to if you're looking to get outside. On-site amenities such as pools and gyms may also accompany condo life. Considered common property, these facilities are shared by every unit and maintained by the board. 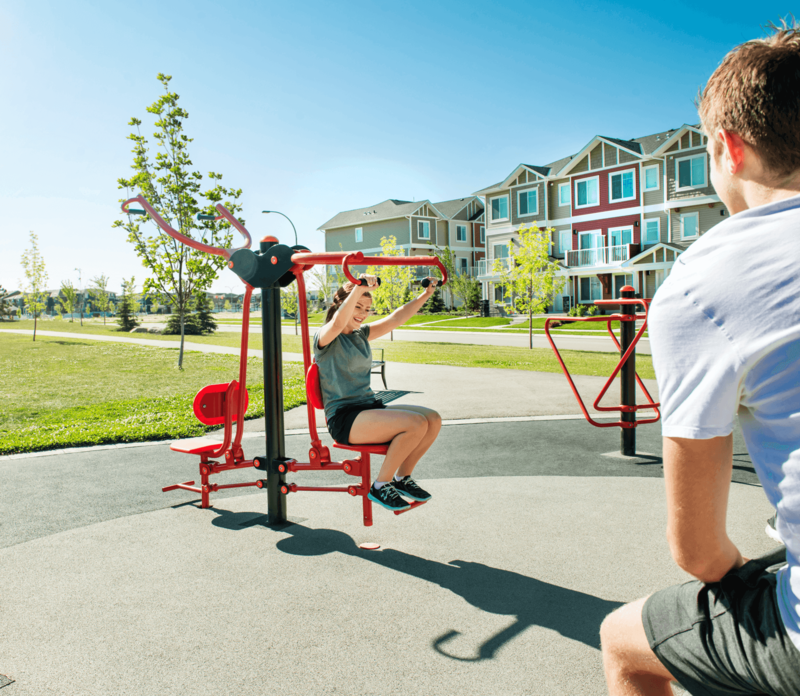 In the event these facilities aren't offered in your chosen development, they're sure to be in nearby community hubs - offering tons of recreational options for all lifestyles. As noted above, condos often come with popular onsite amenities - which may include theatre or game rooms. These can be rented out by unit owners and make great entertainment spaces for parties and social gatherings. Here too, if these rooms aren't offered by a certain development, you can expect to find bars, restaurants, and other entertainment venues close by. Not only do condo owners often have the benefit of living closer to transportation hubs, new developments are generally located near major commuter routes. This means if you prefer to take transit you'll be able to enjoy an easy trip. If you prefer to drive, you can not only look forward to having your own parking stall (sometimes underground) but a quick and direct commute. Love it or hate it, shopping is a necessity. 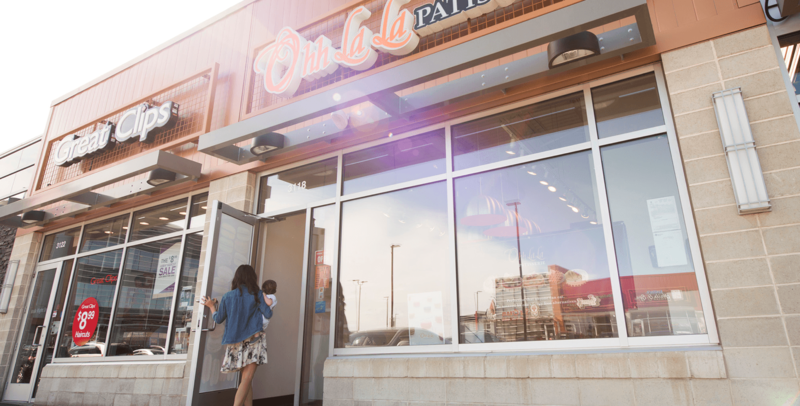 For this reason, everyone likes to have a grocery store nearby when they need to pick up something quick. Many condo developments are in close proximity to shopping districts that include retailers and services. Communities such as Vivace at West 85th, for instance, are located within walking distance of many stores. Schools and playgrounds are essential for anyone with a family. All you need to do is research schools in the community you're looking to purchase in. 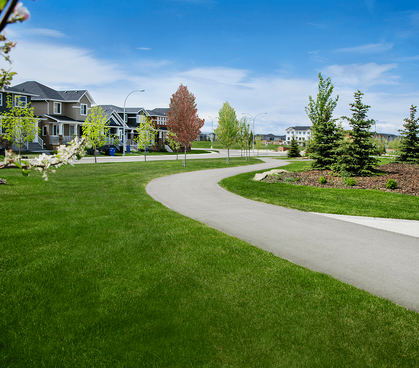 With developments located in many child-friendly areas of Calgary, you'll be able to pick the best location for your family's needs. For example, Origins at Cranston is host to several playgrounds and brand-new schools. Services include everything from nearby hospitals and doctors offices to pharmacies and dentists. This can also include police, ambulance, and fire services. Here too, good developers take these things into consideration when establishing a well-rounded community for all the residents. Now that you know what to expect when it comes to nearby amenities, you'll be able to find a development that caters to your unique lifestyle. No matter what your needs, there's a perfect condo community waiting to welcome you.